Please meet our night shift nurse, Celestin Ndobo, RN. Celestin has been an integral part of our team for the last nine years. He enjoys the organized and professional environment Westgate provides. Celestin is reliable, a good listener and focused. During his down time he enjoys reading books, listening to music and getting out on that soccer field. 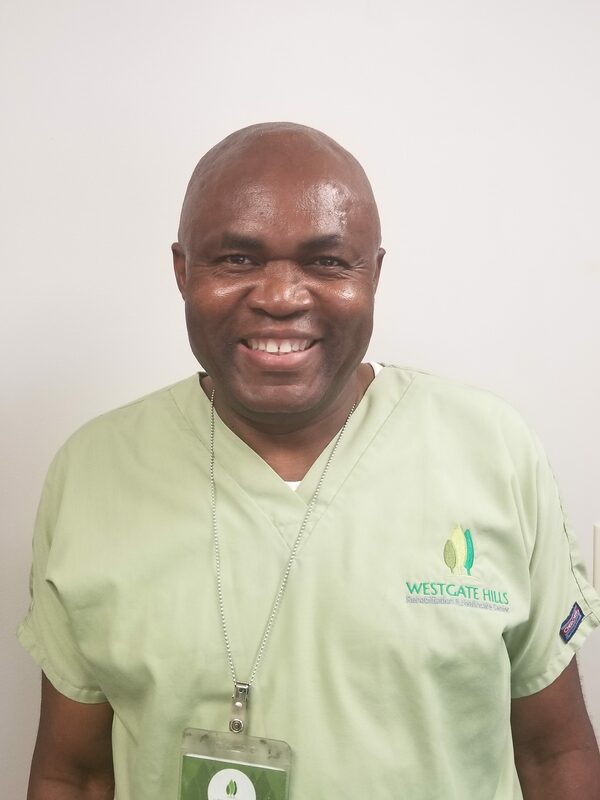 One last thing Celestin would like to share is, diversity is an asset to every group and/or organization, and is one of the main reasons he enjoys being a part of the team at Westgate Hills.